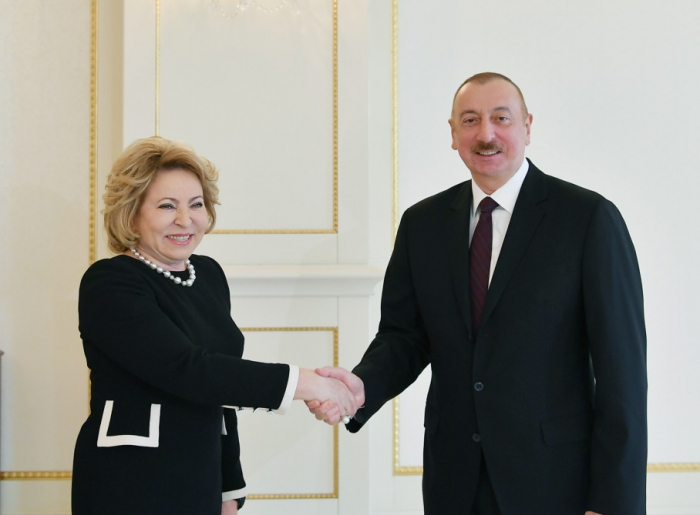 The President of Azerbaijan Ilham Aliyev has today received the delegation led by Chairwoman of the Federation Council of Russia, Mrs. Valentina Ivanovna Matviyenko. 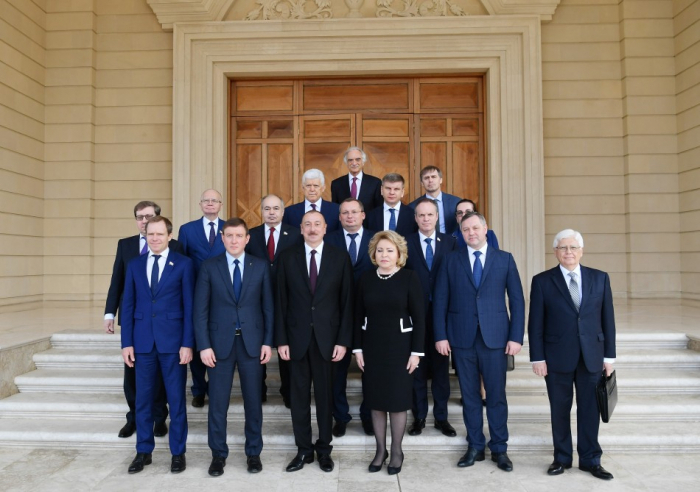 "Russia shows great interest in the Azerbaijani market", said Valentina Ivanovna Matviyenko. "I know there is a great interest in cooperation with your country as you have stability and a stable political and social situation. Azerbaijan is an economically developed country," Valentina Matviyenko stated. The chairwoman noted that Russia invests in about 700 enterprises in Azerbaijan. 200 of them fully works on Russian investment. 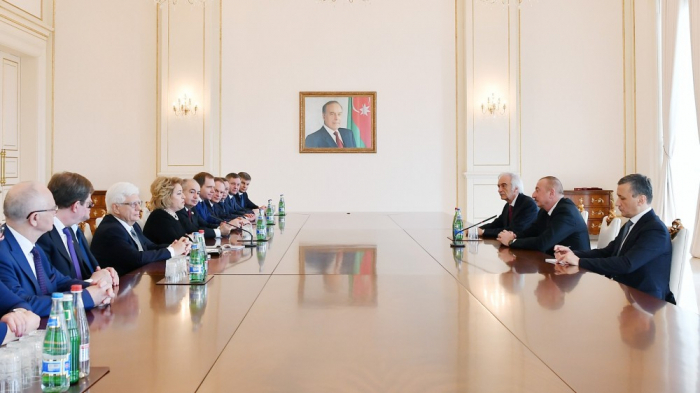 “Of course, there must be a place for Russian business here in Azerbaijan,” said Matviyenko. She also conveyed Russian President Vladimir Putin's greetings and wishes to Ilham Aliyev. 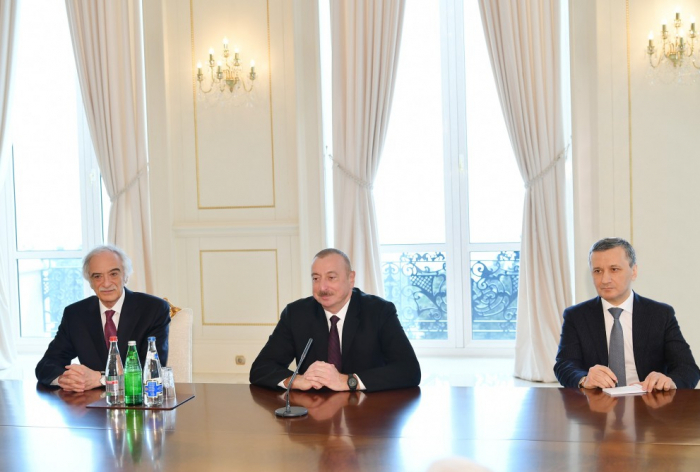 In turn, President Ilham Aliyev asked Matviyenko to deliver his greetings to Russian President Vladimir Putin. 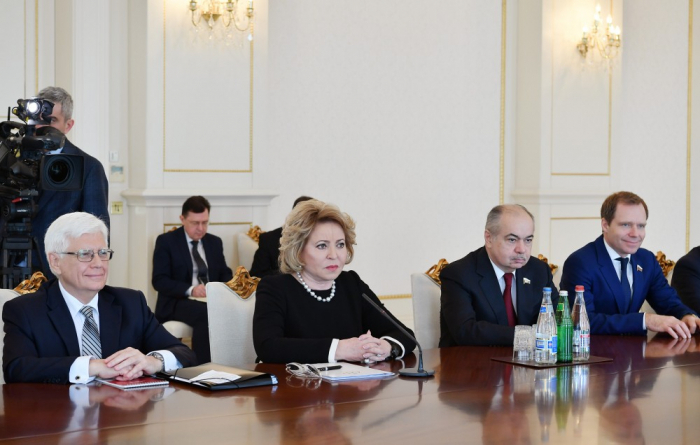 Matviyenko highly appreciated the attention paid to the Russian language and its culture in Azerbaijan. Se said it gives both nations an opportunity for communication adding that dialogue of cultures is in great demand nowadays.